With bank account verification & linking, funds received from your transactions can be transmitted into your bank account within several days. The process involves us making two small (less than $1) deposits into your bank account, which upon you telling us what the exact amounts are, we know we can successfully send funds to your account. 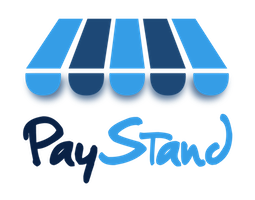 And please remember that you can sell with your PayStand store before this process takes place. All purchases from your store are kept in an escrow account, waiting for you to withdraw them. The process begins as you might expect: please enter some basic bank account information. Don’t worry – we utilize VeriSign-powered 128-bit encryption, so you know your information will be secure. Within 1-3 days (and sometimes sooner), two deposits (each less than $1) will be made into the bank account you entered in step 1. Enter those two amounts into the Verification window of your PayStand dashboard. It can be reached by clicking “verify” on the correct account entry in your Bank Account tab. Once you’ve entered the two amounts successfully, you’re all done! But be careful – you only have three attempts. If you enter the amounts incorrectly three times, the verification will be invalidated, and you will have start the bank account verification all over again.